Tickets can be purchased for 1 or 2 days. Prices include GST. Keynote Address: The Magic of Makerspaces: Make your space count! Makerspaces are one of the top five significant Educational Technologies trends for schools over the next 5 years according to the Australian Education Technologies Trends 2018 report (produced by ACCE). An area students can come together to create, design, invent and explore using a variety of technologies, Makerspaces come in all different shapes and sizes and link well with many areas of the curriculum. This keynote will take you on a tour of the what, how and why of Makerspaces including the many varied setups and ideas for how you can fit activities into your curriculum an timetable. Discussion time will be given to the positives and negatives of each approach and to encourage each school and teacher to decide how best to implement these ideas into your context. The session will also include a hands on session exploring activities you can take to use in your classroom. With something for everyone from low budget ideas to helping teachers with new ideas whether you are just beginning your journey or looking to level up your Makerspace. 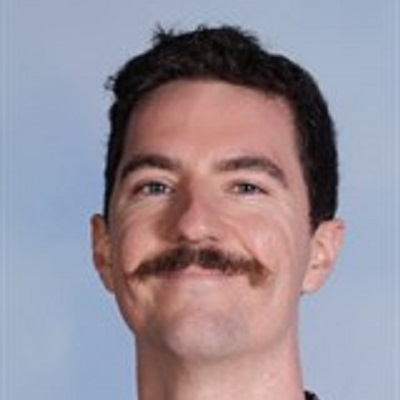 Speaker: Phil Carew, Head of Digital Technologies & eLearning at Toorak College, Mount Eliza. During this workshop, Phil will take participants through the Social Innovation assessment task. Participants will explore coding software, Scratch to develop a concept and design a game. This session will give participants a range of skills to take away and apply to the classroom. The workshop will focus on Social Innovation, the Australian Curriculum - Digital Technologies, CAD, the Design Process and student engagement. Do you enjoy playing video games? Have you ever been disappointed when you’ve finished a game, hoping that there were more levels, another layer to the story? This session will explore the art of storytelling through game design. We will use Boxels to become the writers, artists, designers and developers of our very own interactive stories. concurrent Option 1 - Robots – So What? Robotics and Makerspaces are often pushed as the next big thing in education. This session will discuss a number of robots on the market – including pros and cons for each from budget friendly versions to expensive Nao robots. Implications for curriculum design will also be investigated with some play time to trial some of the robots available. This session is not trying to sell you anything and will present a balanced view of robots currently on the market for educational purposes. Suitable for K-12 teachers and digital technology leaders. In a time where schools are increasingly banning phones due to concerning issues with recording, cyberbullying and social media use, this workshop explores key strategies in educating students in appropriate smart phone use which aim to improve student learning outcomes. By the end of this workshop, delegates should have a template for developing a school charter for smart phone use, what consultation needs to take place and an action plan for implementing smart phone use in schools to improve learning. During this workshop, Phil will take participants through the Product of the Future assessment task. Participants will explore CAD technology, 3D printing possibilities and will complete the design process to develop a concept and design a product. This session will give participants a range of skills to take away and apply to the classroom. The workshop will focus on the Australian Curriculum - Digital Technologies, CAD, the Design Process, entrepreneurial skills, student engagement and staff professional development. STEM is so much more than Science, Technology, Engineering and Mathematics. It’s a way of thinking, questioning, connecting, creating and innovating. STEM can be incorporated into many aspects of the primary curriculum. This session will explore STEM skills and how you can include STEM challenges in your learning and teaching program. In this adaptive presentation we will look at the benefits of instructional video and ways that it can be used to address and extend teaching and learning. A taxonomy of different levels of pedagogical and technological complexity in regard to instructional video will be outlined, with the goal of leading to flipped learning interventions. The workshop will expand on the complexities in the approach and allow participants to create content that serves their own needs, roles and place within their setting, in a way that meets their level of technological competency. This workshop is ideal for teachers looking to extend their teaching into the online world or looking to lead changes in digital presentations towards instructional video at their schools. Brief consideration will be given to using digital presentations for staff communication, running ‘flipped’ meetings and promoting and allowing for student voice. This presentation shares how school leaders, teachers and parents can work together to break through concerns and issues associated with device and technology use. Delegates will explore simple strategies that they can share with parents whose children demonstrate negative addictive behaviours, or who would like greater control over device use or parents who wish to develop the knowledge and understanding of what their children are doing online. All strategies shared are simple and accessible to parents and are aimed at supporting parents to avoid the stress of managing technology use at home. This presentation will provide a resource for wellbeing coordinators, classroom and pastoral care teachers and counsellors. “It was the best of times, it was the worst of times, it was the age of wisdom, it was the age of foolishness". These words, written in 1859 by Charles Dickens as the opening lines to A Tale of Two Cities may be just as relevant to us today. Some say we are living in an age where powerful technologies are creating boundless new opportunities. Others worry that our machines are exposing us to unprecedented levels of peril. Who is right and who is wrong? The answer, as always, depends on your perspective. Students live in a digital world already, and Minecraft: Education Edition is a way to bring the classroom and curriculum to them, in an environment they know and enjoy. It is the same Minecraft experience many students enjoy and play already, but with some additional capabilities to enable student collaboration in the classroom, and support educators to deliver lessons and learning activities within the game. It is designed for students to play together – whether that’s working in teams to solve a problem or collaborating as an entire class to master learning activities. Children learn naturally through a combination of observation, trial-and-error, and play-based practice. An open learning environment like Minecraft encourages independence and self-direction, allowing students the freedom to experiment and challenge themselves. Because Minecraft: Education Edition is a flexible platform for learning, educators are able to map projects and activities directly to specific learning outcomes and Australian Curriculum standards. To get the most out of this workshop, please bring a PC running Windows 10 or a Mac running the latest MacOS. Download and install Minecraft Education Edition from the link provided. There are so many educational robots to choose from. It can be quite difficult to decide which robot to purchase for your school (or even yourself). This session will explore how robots can be integrated in the primary curriculum. It will also provide you with the opportunity to play with a few robots yourself, possibly helping you decide where to next with robotics? concurrent option 1 - I didn't know Google could do that! Google make a lot of amazing tools that do a lot of stuff most teachers are unaware of, and the list is constantly growing and evolving. From hidden surprises to the latest updates, join us as we explore the A to Z of what's new and surprising from the Googz. Bring a computer or a Chromebook and be prepared to play! In this workshop participants will have an opportunity to work in a small group to create a short news segment or information report. The group’s presentations will form part of a Current Affair type news show. You will gain experience with Green Screen technology and movie making, and see the relevance and `possibilities for using this process with your students. The Collaborative TV show is always a very engaging but has additional benefits of helping students make sense of their learning through the use of oral language and presentation. There are many applications for the online news show and many areas of the curriculum that can be linked to its production. Should you decide to attend both of my sessions we will create different forms of instruction videos, moving along a continuum of complexity. In the second part of this workshop participants will continue to work in a small group to create a short news segment or information report. The group’s presentations will form part of a Current Affair type news show. You will gain experience with Green Screen technology and movie making, and see the relevance and `possibilities for using this process with your students. The Collaborative TV show is always a very engaging but has additional benefits of helping students make sense of their learning through the use of oral language and presentation. There are many applications for the online news show and many areas of the curriculum that can be linked to its production. The conference will open with keynote speaker, Aimee Shackleton, presenting The Magic of Makerspaces: Make your space count! Makerspaces are one of the top five significant Educational Technologies trends for schools over the next 5 years. 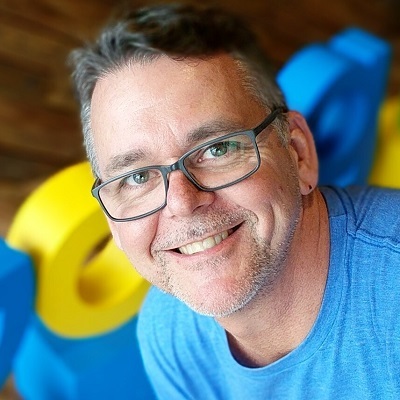 On day two the keynote will be delivered by Chris Betcher, a passionate educator, google certified innovator and trainer and two time winner of ICT Teacher of the Year Award. Chris’ session The Track of the Storm looks at positives and negatives of the technological age. Throughout the two days, hands-on workshops will be presented by some of the leading teachers in Victoria around the themes; Makerspace, Digital Story telling, Social Innovation, Robotics, Smart Phones, 3D Printing, Implementing STEM, Digital Presentations, producing collaborative TV, Google Tools and more. This conference offers skills based sessions for classroom practitioners, so come prepared to roll up your sleeves to learn new transferable skills. Contemporary teachers use technology as a powerful tool to lift the learning in their classrooms to even greater heights. This conference is best suited to innovative classroom teachers, pre-service teachers, teacher librarians, ICT coordinators, mentors and those on the executive wanting to understand the possibilities for their school.